Now here’s a picture for you… Imagine looking out over a small pond on a warm summer evening. Birds dip close to the surface as they fly over the water. The family cows wade belly-deep on the far side of the pond as they cool off from the hot summer day just past. At this moment, your red and white bobber dips suddenly below the surface and a fat, delicious bluegill is captured and added to the stringer of fish destined to be a delicious supper. If this water-based picture sounds good to you, perhaps a multi-use pond built on your farm should be in your plans. By the way, this article focuses on ponds which are not meant to be simple livestock watering tanks. Those single-purpose ponds are absolutely vital for large scale livestock operations, but providing drinking water for large numbers of cattle is their only function. Instead, this article looks at ponds which do water some stock—usually a few head of cows, sheep, and perhaps some horses—but which also provide recreation, food, and even safety for the homeowner. A fairly small pond close to the farmer’s home can provide water to support fish for family eating, irrigation for gardens and orchards, and in the case of a fire, a ready source of water for the volunteer fire department to use. However, just as so many things are on a small farm, pond construction is not as simple as we would have it be. A pond will cost the smallholder some money and some time. The larger the pond, the more it will cost to build—that’s probably obvious. Even a small pond will require quite a bit of planning and preparation. A pond is a long term investment, and since ponds can’t be relocated very easily, the pond must be carefully planned before dirt is moved. A poorly built or designed pond can be a disaster in many ways. Let’s take a little time to look at benefits and problems concerned with small farm pond construction. Where Should the New Pond Go? First, a multi-use pond should be pretty close to the family home. The primary reason for this is that if the pond is to help provide water for emergency fire protection, it has to be close enough for the fire truck’s hoses to reach from the pond to the pumper. Also, irrigation pipes don’t like to be run too far from the pond to the garden. Finally, if the pond is close to the family home, the homeowner will get to enjoy the wildlife which will come to the pond to drink. Selecting the actual pond site is vital, and really should be done with the help of a professional. A professional pond construction engineer can recommend places that are best suited for a pond. Obviously, a pond needs a source of water—if you are one of the blessed and your small farm has a natural spring on it, count yourself very lucky. A live spring gives clear, live water which supports maximum numbers of fish. If no spring is close enough, or no good natural drainage from hillside or valley is present, then that location is not a good pond site. A pond building professional can walk over your farm and recommend suitable places to build a pond. This advice may cost the farm owner a bit in the early stages of the pond building, but the advice of a professional can save lots of money and misery later. The best place to locate a pond professional is to contact the local extension agent who works for the state. Neighbors and other smallholders in your area can usually recommend a reliable pond builder who would be happy to work with you. 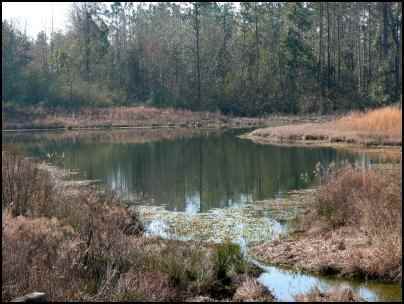 The Virginia Cooperative Extension service in their Publication Number 420-011 says that multi-use ponds should have easy access, adequate volume, and water level manipulation in order to be of maximum use to the smallholder. All of these points can be best designed with a professional pond-builder’s help. Most of us moved back to the country in order to be more or less self-sufficient. However, when it comes to pond construction, using some outside professional help is wise. I will not deny that I have seen very productive, beautiful, long lasting ponds designed and built by homeowners with no pond engineering training. It does happen. However, I have seen many, many more ponds built by homeowners which turned out to be disasters. The rural countryside, no matter where in the nation we look, is dotted with poorly planned, poorly built and non-functional ponds. Pond construction takes some heavy equipment and involves the movement of a lot of soil and other materials. Even if a homeowner has access to the equipment, and even if the homeowner knows how to operate the equipment, disaster is never far from “do-it-yourself” pond builders. The best example I know of how an owner-built pond can fail was seen some years back in the Arkansas Ozarks on a small family farm. The owner noticed a natural depression close to his home site, and since he wanted a pond, it seemed a logical place to build a pond. He borrowed a neighbor’s bulldozer and scraped the soil and rocks to make a dam. A heavy rain the next week filled the new pond, and the water held just fine. A few months later, the homeowner stocked the new pond with fish, and all went well for almost a year. After holding water for almost a year, the pond totally emptied in one night. The reason? That natural depression which seemed such a good place to make a pond was nothing more than the roof of a sinkhole in the limestone sub-soil, and when the water of the pond finally soaked through the compacted bottom of the pond, the sinkhole opened up and the water drained away like a bathtub—fish, water, and all. So, the answer is, “Yes, you can do it yourself,” but I wouldn’t. What Fish Should Be Stocked in the Pond? I love fishing in small private ponds. The largest fish I have ever caught in freshwater all came from small, less than five-acre, family-owned ponds. My largest bass—over ten pounds—came from a small pond just down the road from my house. 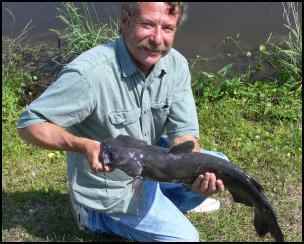 I have caught catfish over twenty pounds from small ponds. So, small ponds can produce a lot of fish, both for fun and food. In general, for most of the country, small family ponds will be stocked with three species of fish. First will be bluegill bream. These beautiful, fast growing fish reproduce very rapidly, and will absolutely fill a small pond with lots of tiny, stunted offspring in a couple of years. The idea is to keep the bream from over-populating. 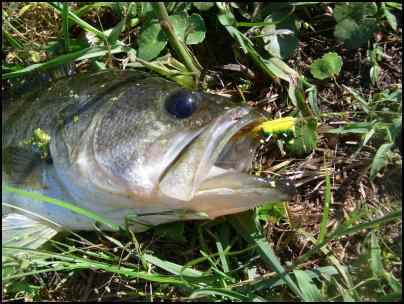 To do this, largemouth bass and channel catfish are also stocked. Both of these fish love to eat small bream, and both bass and catfish will get very large from eating most of the bream which are born in the pond. 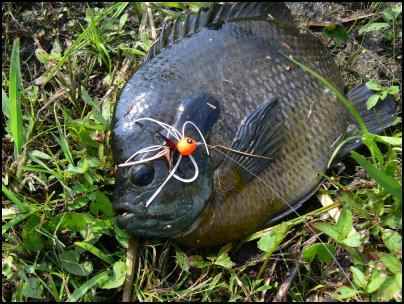 The idea of successful fish production in a small pond is to balance the rapid over-population of the bream with the consumption of a whole lot of the little bream by a few bass and catfish. Part of the work of keeping a pond’s fish population in balance falls to the owner. 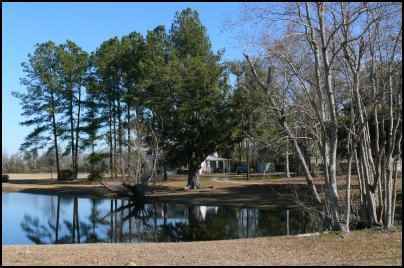 The pond owner should be prepared to take a rod and reel fairly often to the pond banks and catch a few bass and catfish, and a lot of bream for the family table. By the way, all three of these most commonly stocked fish species are delicious! Once, again, the best place to find good advice for fish stocking in a family pond is to contact the local extension agent. There are many sources of fish for stocking ponds, and some are better and closer, which is very important, than others. Talk to the extension agent. Many states offer programs which will provide fish for stocking in private ponds free of charge for the owners. For example, Missouri has a Private Pond Stocking Program which provides the right number of fingerling fish for each particular pond, and the Missouri Department of Conservation will help the pond owner plan and prepare for the free fish. Most states have similar programs. One of the prime benefits of a pond close to the home is that it provides a ready source of water for irrigation. In the United States, in most locales, drought or at least water shortage at crucial crop times is a constant problem. With a pond close at hand, and a small pump and gas-powered engine, a reliable and controllable source of garden irrigation water is always at hand. This ready source of water can be especially helpful to smallholders who have orchards or berry operations for cash crops. Some growing seasons turn dry just when fruit is setting or filling, and entire crops can be lost—along with the cash the crop would have generated—because of lack of water. By burning a little gas in a pump motor to pull water from a pond to the orchard or garden, a small farmer can keep a crop going by irrigating from the pond until the next natural rain, and thereby prevent a disastrous crop failure. Of course, the family garden can benefit quite often from irrigation, too. One very real benefit of a pond is the sight of wildlife which WILL come to the pond for water. Deer, raccoons, turkey and many other animals will visit the pond, and they will leave their tracks in the mud to prove they have visited, even if they come at night and aren’t seen. 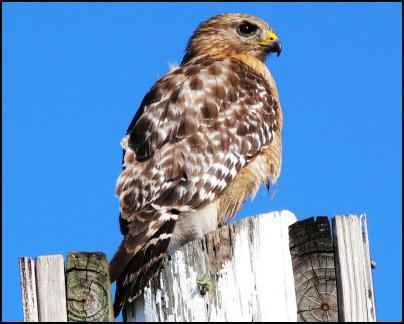 As far as birds go, there is absolutely nothing a homeowner can do which will attract more birds and more kinds of birds than providing a good source of water. Warblers, blackbirds, herons, ducks, geese, hawks, and even eagles all will orient their lives to a water source. There are few things more pleasurable than watching the birdlife on a small farm going about its business near a small pond. The benefits of a multi-use pond on a small farm are many. Well-built and properly designed ponds increase the value of a farm, and they provide a great deal of pleasure to the family living there. However, like all good things, ponds don’t come without costs, and part of the costs come before even a shovelful of dirt is moved. By planning and preparing properly, a smallholder can save a whole lot of misery and expense when putting a pond on the farm.